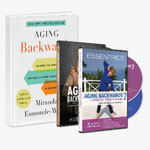 [see more] defeatist attitude towards aging.In her previous award-winning special Aging Backs, Esmonde-White revealed the power of our muscle cells. 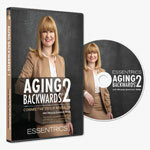 Now in AGING BACKWARDS 2, viewers discover the amazing clout of their connective tissue. This vital tissue surrounds every part of us and connects  every muscle, nerve, cell, bone and organ. Keeping it healthy is the secret to remaining youthful at any age. The human body is a powerful machine, but we must choose to keep it young. 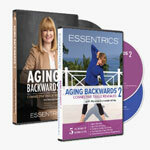 The fountain of youth is within each of us, and Esmonde-White teaches viewers how to access it.